What is your goal? As a wine business you want to sell more wine; engage more customers; improve customer service; encourage education and awareness. How can emerging technology help accomplish these things? Technology and wine are not unfamiliar bedfellows. Many wineries have looked to technology solutions for years. Database and inventory management with improved point of sale systems. Reward card programs that reward loyal customers. Cards and purchases are tracked through technology solutions. Tasting room kiosks that can help educate customers and improve service when staff is not available. Enter the Apple iPad; an interactive, cool, hip and customizable tool that is opening a myriad of potential technology solutions. Is the iPad the next evolution of technology solutions in business? Lately I’ve been researching the use of an iPad as a technology solution for a future business. I was first turned on to the idea by an article I read on Tom Wark’s Fermentation (Daily Wine Blog) about Pithy Little Wine Company’s use of iPad’s in their tasting room. The article got my head spinning about the potential uses. While PLWC is not the first to use iPad’s in the wine business, their straight forward approach got me thinking about technology solutions that could drive sales, increase engagement, and assist with wine education. Other recent articles in the New York Times (highlighting Atlanta’s Bones Steakhouse use of the iPad as their wine menu), and SF Gate (showcasing Barbacco’s electronic wine list) show that this technology trend is taking hold. 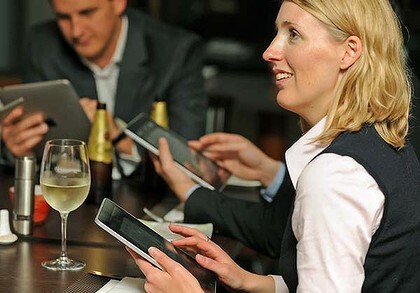 Should you use an iPad type product in your winery, tasting room or restaurant? I am the last person you would expect to be thinking about drinking the Apple Kool-Aid. I’m a fan of the open architecture, non-proprietary, affordable and trustworthy PC. Apple has done a fantastic job in their slanderous marketing efforts to convince consumers that PC’s are prone to instability and are filled with malware and bugs. I’ve been known to dream of the malicious worm that would rot the sweet Apple success. Immune to the iPod, not swayed by the Mac, resistant to the iPhone’s spell, the iPad is the sole product that has me leaning to the dark side of the computing world. Use of technology as a gimmick will be short lived, use of technology as a solution can have a long term impact. Whether it’s a Window’s based tablet (of which a well made one does not exist) or an iPad, I believe these portable devices present several solutions for winery tasting rooms. 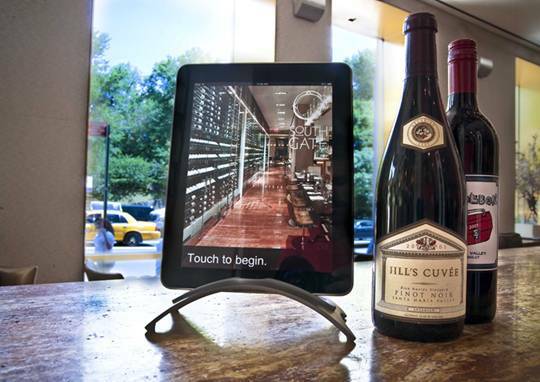 Currently, iPads are a novelty in a handful of restaurants and wine tasting rooms. Over time, they will become common place. Those that use the technology as a part of their overall strategy will see great success. Those relying on the gimmick or techie appeal will see the impact die off quickly. Comments on articles I read during my research focused on three common problems that should be kept in mind if implementing this (or any) technology solution. Shrinkage – At $500 each, the iPad is a portable product that without the proper controls could be an expensive menu to walk out the door. Personal Connection – Don’t let the use of technology replace real human interaction and connection. Technology as a supplement to personal connection can be a powerful team. Simplicity – Make sure the use of the technology is intuitive and well thought out. Requiring users to navigate menu after menu to get to their decision can have a counterproductive effect. Think through your layout. This article in the New York Journal discusses the problems with poor iPad menu use. Yes, it is true, apples and grapes can make a technology blend that improves customer loyalty and drives sales. Potential uses are mind blowing. Hopefully this post has given you some food for thought for how you could use the iPad or other technology solutions in the winery tasting room. As I continue my research for the pending use, I’ll keep you updated on the progress. If you’re a developer, let’s chat. I’ve got ideas. Really liking this trend. I’m a PC guy myself but Apple continues to punch the gas pedal. They’ve almost persuaded me! I’d love to see more restaurants and tasting rooms incorporating the iPad or other tech features. It enhances the experience in a new way, which is what it’s all about. Jon, with you on PC. You said it perfectly, if the technology enhances the experience, then it’s a win. This is definitely a trend that is on the uphill climb. Just wait until the google “Chrome OS” based tablets start coming out. The competition should drive down prices and hopefully allow for some alternatives to the iPad. I’m not sure if you’ve seen the youtube video of the 2 year old girl using the iPad, just goes to show how intuitive a device like that is. So many opportunities to use these. Cool stuff for sure! 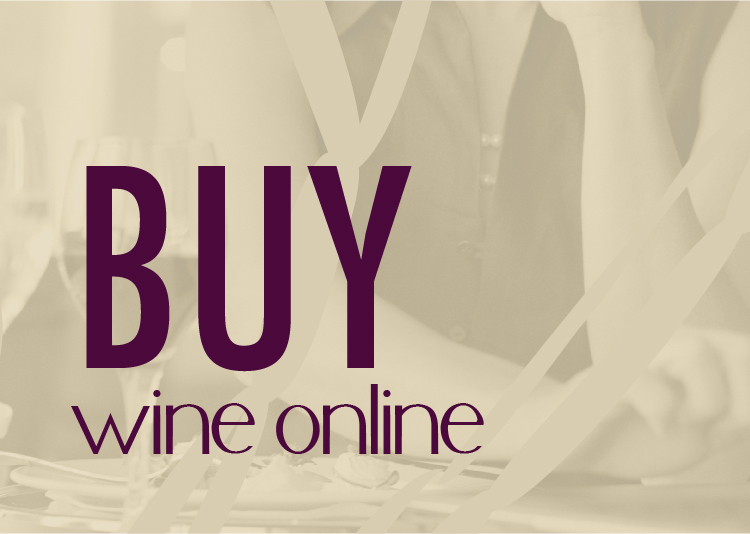 (Upfront disclaimer: Our business creates mobile applications for the wine world.) Hey, Josh. Nice post. But I think you left out one important consideration – what happens when those in-store iPad users go home? How are they going to remember their notes, what they liked, or other details of the experience? Where is the access to the nice videos and winery details they got on the iPad? Considering that almost half of all cell phones in use are smartphones (and likely that percentage is higher for wine drinkers) that people carry with them wherever they go, wouldn’t it be better to put that custom iPad development money into a mobile platform which links the winery or wine store to the taster’s own cell phone. So why don’t more businesses do this? I’m curious why more of the wine industry isn’t jumping on board all things mobile (apps, social media, etc..) And we’re app developers, so let’s chat! To go along with your comment on shrinkage, you would think there would be a decent security device for the iPad to keep people from walking out the door with them when you are three people deep at the tasting bar. I’ve found a couple of products, but no real good solution as of yet. I think Apple is easily labeled as gimmicky, but they not only accurately predicted the future of technology, but they bet the farm on mobile. Apple has been stockpiling patents on multi-touch technology for years, and I’d bet you that the iPad isn’t even their piece de resistance. Remember five months ago when the iPad was a joke? 3 million units later, something like 30 million units predicted for next year, thoughts expressed in this post, and you realize Apple made a Lazarus out of tablet PCs. That said, and rabid Apple fanboy venom aside, I agree with you. The iPad might be the answer for some, but mobile technology absolutely is for everyone. Great post, Josh. We just bought our first iPad and are looking to incorporate it into what we call impromptu tastings. It’s an intimate tasting for usually less than four people who taste around an island in our reception area. Then the host can refer to the iPad for videos and pictures to demonstrate what he/she is discussing about our history, winemaking, viticulture and culinary program. We debated putting an iPad in the lobby for people to look at pictures and watch videos while waiting for tours and tastings to begin, but decided the downside is too great. Dealing with guests trying to check their email and football scores and asking for IT assistance on surfing the web seemed like it would create a lot of hassles. What do you think? Lisa the IT piece could be bothersome, but depending on how it was implemented I think the personal use of the iPad would probably be less than you would think. I like the way you’re thinking of using it at Jordan. Let me know how it turns out. The show airs weekly Thursdays at 5 pm. There is also a thisweekin-mobile. Any device that helps transfer information, tells the world who you are and where you are is another great marketing tool. Kenton, thanks for the tip and the link. Checked it out and looks like a valuable resource. Also, in agreement that anything that helps engage and educate customers certainly should be explored as an option. Very interesting! The comment about using Smart Phones – we are rural and most guests receive no reception. Abracadabra…http://www.winergyinc.com. Not only does this cool tool provide the winery easy access to their taster’s preferences, tasters have a record via email of their ratings…and it’s accessible on any web device. David, very cool. Thanks for sharing the link. I’ll be in touch! Tablets as wine lists aren’t new: http://www.coloradowinepress.com/2010/09/wild-wine-lists.html While they may make navigating the list easier, do they make a wine list any better? 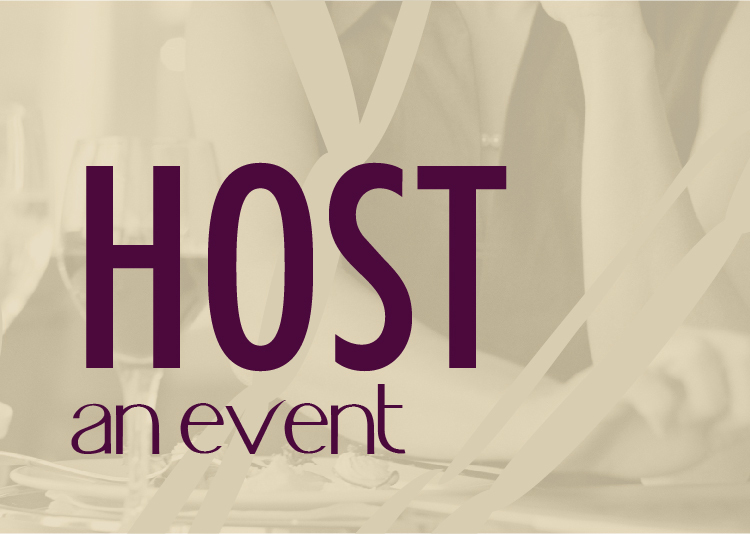 Where are wine lists exciting but the wines boring? 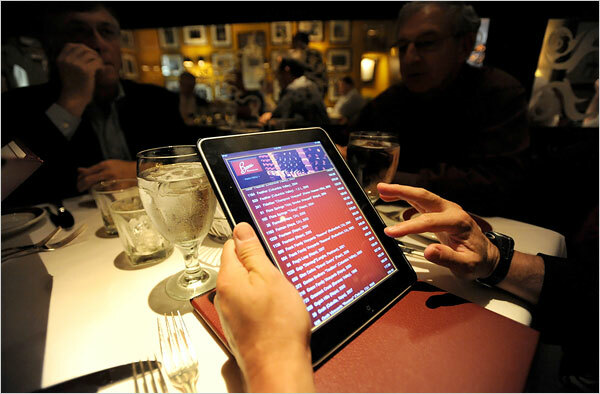 True, the Vegas restaurant has been using technology since they opened to navigate their wine list, but the iPad brings a much greater access to the “average” business owner. Thanks for sharing the link.